My mother used to make the most wonderful barbecued ribs I have ever tasted. The flavor was not like anything I have had before or since. I did not realize how special it was until I was grown up and made my own version of ribs. What a disappointment! Unfortunately, even with Mother's recipe, I have not been able to duplicate that memorable flavor. 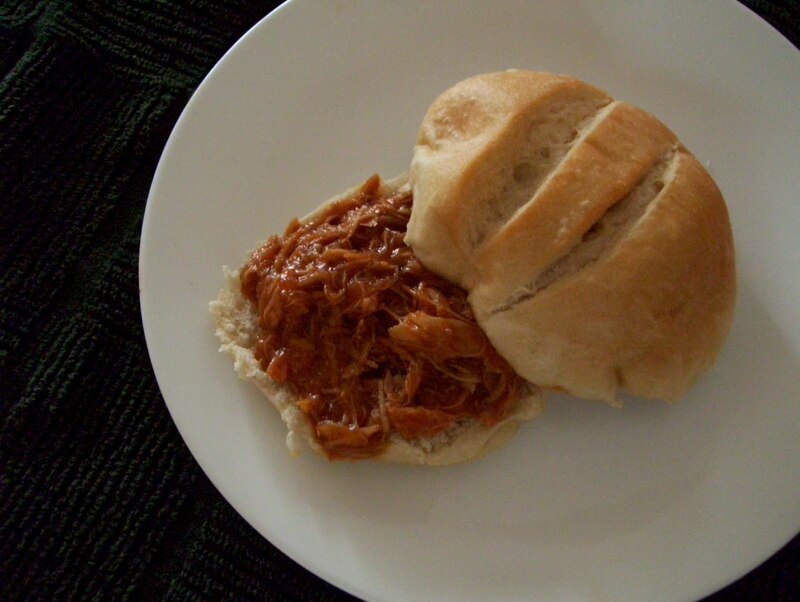 While I have almost given up trying to make that special barbecue sauce for ribs, I have created a barbecued pulled-chicken recipe that is delicious. The reason I even made up this recipe was so I could use up the dark meat which neither my husband nor I care for. With hot summer weather dulling my desire to cook, I recently broke down and bought a broasted chicken at the grocery store. We gobbled up the white meat...the dark meat was pulled off of the bones and turned into pulled chicken and the bones and skin were simmered in water to make a savory broth. I always enjoy making the most of any food and that chicken gave its all! This recipe may be increased. In a medium-sized pot, melt margarine. Add chopped onion and cook on med heat, stirring occasionally until onion is slightly transparent. Add dark meat and stir with onion for 1-2 minutes. Add remaining ingredients, stir well. Turn heat down to med-low and partly cover pot with lid. Simmer meat and sauce for 1 1/2 hours, stirring occasionally. Remove lid; with two forks, pull and shred meat. Continue to simmer, partly covered, until meat and sauce are savory and slightly thickened. Serve meat on sliced buns. (A wonderful bakery-style bun makes this sandwich even better).